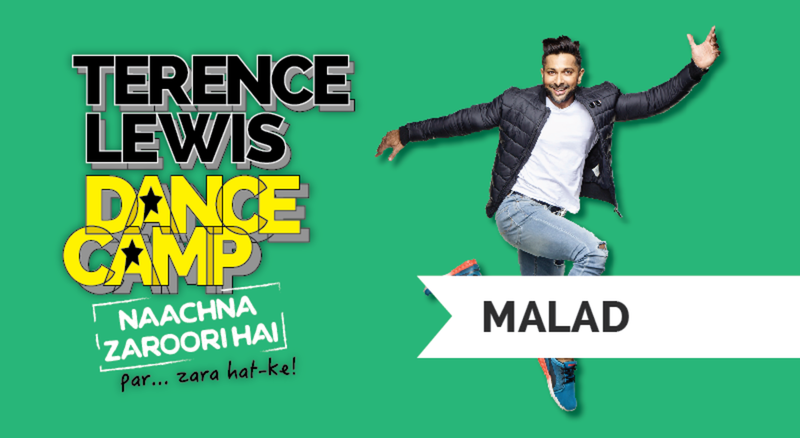 Terence Lewis Dance Camp 2018 across Mumbai! From 8 to 60 years, if you can feel the groove, then Naachna Zaroori Hai...Par Zara Hat Ke! Choose from all new popular and latest styles - from the cool Jazz Funk (8-14 years) to the spice of Bollyhop (15-60 years) to the cutting edge Contemporary (15 – 60 years). 10 sessions from Monday to Friday over two weeks, in 10 centres across Mumbai, followed by 1 big Finale (on Sunday 6 May). If you're dancer or with two left feet, street smart or shy, Foodie or Gym-freak, Uber cool or plain crazy, bored or feeling edgy, young at heart or an old soul. No matter what you are or what you do, this Dance Camp is designed keeping you in mind!! Dance Camp classes will be conducted by a professionally trained team of instructors, handpicked by Master Terence Lewis himself. These are some of the top professional dancers in the country, who have themselves trained under expert teachers both in India and internationally. catch him in an exclusive electrifying live performance in the Grand Finale along with his internationally acclaimed Terence Lewis Contemporary Dance Company ! He has set 3 Guinness World Records in Bollywood and Contemporary dance, he's made Dancing Stars.... and now you are going to dance to his tune! Can I attend just 1-2 classes? No, Dance Camp is designed as a comprehensive module where you learn in successive classes. Each class builds upon the last and leads into the next. Come join the party!! I have 2 left feet. Can I still join? Yes! We truly believe that Anybody Can Dance. Dance Camp is open to all, as long as you are in reasonably fit condition. I don’t wish to participate in the finale, can I still register for classes? Yes, but we request you to let the instructor know this on the first day of classes. We will design our choreographies accordingly. However, we would really love for you to be a part of the finale as you will have the time of your life! I don’t want to dance, but can I come watch classes? Dance camp is an entirely participative activity, meant for people who wish to get on their feet and Dance! Anyone in the room must join the party - we have no room for observers! What gear do I need for the classes? Jazz Funk & Bollyhop - funk it up with your coolest accessories! Footwear- jazz sneakers, sports shoes, hip-hop shoes. Students are advised not to have a heavy meal before sessions as it is harmful for your digestive system. Participation in 10 teaching sessions, for the batch and location you choose. Participation in the Grand Finale, where you will be showcasing what you have learned along with your batch. 2 free entry passes to the Finale, for your family members or friends. The exclusive opportunity to watch Master Terence Lewis, along with India’s No. 1 dance company, the Terence Lewis Contemporary Dance Company, in an electrifying stage performance.